Today we are talking about Sector/Niche Focused Funds. First off, at a high level, what categories and in what ways have you seen funds specialize? What are your thoughts on thesis, thematic and horizontal driven focuses vs. sector, geo or other vertical focuses? Do you think specialization is a new trend or one that’s always existed? I’m in an area with a lot of generalists. Why do think we are seeing the emergence of so many specialized investors? What are the benefits of niche/sector focused funds? Is it more appropriate to specialize at early or later stages… or is stage irrelevant? Nick: Today we welcome #Jordan Nof from New York City. 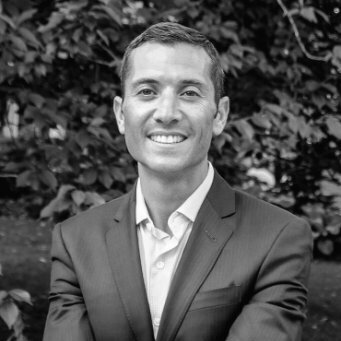 #Jordan is Head of Investments at #Tusk Ventures, where he oversees all aspects of the firm’s venture capital investment practice. #Jordan is an investment professional with significant experience in venture capital, private equity and investment banking. Prior to #Tusk, #Jordan spent 6 years as a Director at #Blackstone, where he developed the firm’s corporate venture capital portfolio. And he also led #Blackstone investments in real estate tech, financial tech and cyber security companies. I’ve had the pleasure of knowing #Jordan for a couple years now. And I’m looking forward to having him share some of his great stories on the program here. #Jordan, thanks so much for coming on. Jordan: Thanks for having me, #Nick. Nick: Absolutely! Let’s start out, can you walk us through your background and how you got into VC? Jordan: Absolutely. So my path to venture was like many others, kind of through the side window. So there’s really no direct path into venture capital. Some people come in as entrepreneurs that have had successful exits. Some people they just have, they end really entrenched in the venture capital ecosystem and really scratched their way into, into an analyst program. Mine was actually by way of financial services. So when I was at #Blackstone, I was lucky enough to work for #Bill Murphy, who’s the CTO and actually was one of the co-founders of #Capital IQ. And basically he was able to help carve out a role where I, we were looking for early stage technology companies that we could use as part of our operations or the operations of our portfolio companies to accelerate growth and remain competitive at #Blackstone. So we gained access to a lot of really interesting deals on enterprise software, cyber security, commercial real estate technology. And that’s kind of, that’s kind of how I was able to carve out a role for myself in it. Nick: Awesome! And then how did that path kind of lead to, to #Tusk and, and what are you focussed on at #Tusk? Jordan: Absolutely. So the introduction to #Bradley came via an entrepreneur that I worked with and I did a deal with at, at #Blackstone, introduced me to #Bradley. And after working at #Blackstone and doing the corporate venture capital investing for some time, I definitely saw the advantages of being a strategic investor. And that, the value that you bring to the entrepreneur and to, to the enterprise itself. So if I was going to leave, it was going to have to be for a, something that was really unique and an opportunity to build something from the ground up. And so I found myself sitting there one day, and, and, you know, critiquing various entrepreneurs and the businesses that they had built, and acknowledging the fact that I had never done it myself. So I met #Bradley, and if you don’t know #Bradley, he is quite possibly one of the most interesting people that I’ve ever met. He is, he has a skill set that I didn’t even know existed. One that is very, very hard to replicate. And somebody that I thought, you know, I could definitely build a venture capital business around this, this person’s ability to drive successful outcomes for companies in the way that a large corporate would. And so it, it, you know, obviously take a lot to leave a firm like #Blackstone. But I decided to take the leap of faith and, you know, go and join #Bradley and, and help build up this business. Nick: Yeah, and while we’re, we’re on that point, can you tell us a little bit more about #Bradley and, and who he is and, and kind of what his specialty is? Jordan: If you were to go back to one of your previous episodes, you talked, you talked about portfolio construction and, and the, the notion of the one, that the one company portfolio definitely came up. So by that, by that definition he would probably be the most successful investor of all time. Jordan: So how can, how can you say no to that track record? Jordan: You know, so, so I saw, you know, here’s this guy who, who understands the, the nuances of, of the regulation and, and politics in a way that no one else does. And I thought, you know what? This is, this is something that, that is much more attractive than me just giving somebody my logo and, you know, and making a few introductions. This is me solving problems that are existential to companies businesses. Nick: Awesome. And that very much sort of colors the experience of, of #Tusk now. Before we jump into the topic, can you, can you give us a little bit about the firm’s specialty? I know it’s, you know, one of the most unique specialties I’ve come across. Jordan: Absolutely. So what, that #Tusk, #Tusk Ventures does is the same thing that we’re doing on the #Tusk strategy side but for startups. So we’re leveling the playing field and providing a very high intensity, high touch model, that is usually only available to your larger companies, to the startup community. And basically by taking compensation on an advisory end in the form of equity instead of cash. So it’s leveling the playing field and really aligning interests with entrepreneurs to where if we don’t succeed, they don’t succeed. Because we’re getting paid solely in equity. It’s one that, it’s, and there’s a two part approach to it. So, you know, in addition to that, the advisory business, there is also the dedicated venture investment vehicle where we look to provide intellectual capital first to, to entrepreneurs, and, and then, you know, financial capital as well. Nick: Awesome. Well, I pride myself on bringing some of the most unique approaches and unique minds to the show. So I’m very glad to have you here to talk about Niche focused and Sector Focused Funds. So to start off on the topic, #Jordan, can you talk about maybe some of the categories and the way that you’ve seen funds specialize? Jordan: Absolutely. So if you, if you were to think about niche focused or sector focused funds, your largest and most clear cut version of that is your corporate venture capital firms. So you have funds that are being born within large institutions that are specifically seeking out companies that are potentially disrupting their current business model. And they want to at least have an equity ownership. And that’s, that’s like a defensive mechanism. And there’s ones that are looking to use these early stage technology to help accelerate their businesses. So we’re seeing them all over. And in, in insurance technology you see them out of a lot, the OEMs, the large automobile companies. You’re seeing them, you know, #Intel is probably one that, that most people, it comes to mind, #Samsung and so on. So you’re seeing companies that are using their balance sheet and their ability to drive value to companies that are, that are playing in their area of their core business. To go a little bit, a little bit more granular, there are your vertical focused funds. And now these are, these are firms that are specializing in specific verticals and deploying capital specifically into their area of expertise. Typically the managing partners of these firms have deep experience in these areas. And their, their LP base consists of a lot of the corporates that have an interest in that. So you’re seeing them pop up in real estate, you’re seeing them crop up in insurance. And for a very long time we’ve seen that in the healthcare and biotech space. Jordan: So that’s, that’s, that’s I would call it the second type. And then your, your third type is what I call your niche focused fund. And that’s one that really kind of has the flexibility to cover all over. So it’s a horizontal strategy that has a niche specific strategic value add, or is bridging a gap in financing that, that really kind of never existed before. So an example would be, of the latter would be #Bullpen. So I, I love the #Bullpen guys, I think what they’re doing is, is fantastic. They really were the first people to identify this pre-A financing need. And that applies across all verticals. But their niche is finding those companies that they can provide that, that extra gas to get them to be a successful A-round. And that, that was a great example. And what we’re doing is similar as well in the sense that we’re not looking to identify at a specific stage, but we’re looking for companies where we can add strategic value to help navigate or capitalize on specific regulatory or political situations that are arising. And that, that stands across all different verticals. Nick: Got it. So this last category, the, the niche focused, that could be geo, it could be stage, it could be strategy, could be more of a soft horizontal thing like, like network effects or tech trends of some sort? Jordan: Absolutely. It’s, I think it’s really, you know, there’s, there’s the difference kind of thematic investing in, in areas that, you know, here’s my investment thesis and I’m going to go out and, and really focus on marketplaces or I’m going to go out and focus on investing outside of Silicon Valley, in New York and Boston. But that’s, that’s not really, you’re not bringing the deep expertise to it. So I think that the main way that you can bifurcate between a traditional VC or a, or a micro VC and a niche focused one is the strategic value add that they bring to the table. Jordan: So if, if they can help navigate a specific environment or if they can help bridge a gap of financing with consistent success, then I would call that a niche. Jordan: Absolutely. And I think, you know, that’s, that’s necessary. You have, you know, you’re going to market if you’re raising a fund you have to have an investment thesis, you know that, you know. You have to have something that you’re, that you’re looking for. And, and they can be vague but, you know, they’re not really mandates, you know. I find myself, whenever I’m meeting with an entrepreneur, one of the first things that, that I say is if me writing a cheque is the most valuable thing that I can bring, this probably isn’t going to work out. Because I need to know that I can drive value here. I need to know that I can help do you risk your company or I can help you grow. Or else I’m just throwing darts at a dart board. Nick: Yeah. Well, good. Well, I mean, we’ve seen this, you know, this rise of niche focused and specialty focused funds, you know. I’m a guilty party myself, #New Stack Venture fund one has, it has a specialty focus on IoT. Proudly guilty, right. But, you know, #Jordan, are you seeing this as like a new trend that’s just emerging now or is this something that’s, that’s always existed? Jordan: I think it’s, you know, it, this is a trend that, that has really picked up for several reasons. You know, I think that it’s existed before, almost all venture firms start out as a micro VC. There’s a lot of funds that you look back, that, you know, they were 5, 10 million dollar funds that are now very, very large. But at this point I think the barriers to entry to creating your own venture fund are the lowest that they’ve probably ever been. I think that now we’re at a point where there’s been performance, you know. There’s, there’s research out there to support that first time funds and emerging managers should be playing a vital role in LP’s portfolios. You know, these are young, hungry, innovative investment models that, you know, have, have played a significant role in the ecosystem for some time and have, now there’s research to prove it. So it’s something that’s gaining steam. And I don’t think it’s going to go away. We’ve seen fund raising at an all time high right now, specially with your established funds that have raised astronomical amounts of money. Jordan: And to effectively deploy that capital, their cheques need to be bigger and bigger. And so the role that these specialty and niche focused funds play, you know, we can take positions in companies that are meaningful in terms of a fund size that’s $100 million or less, that makes LPs very happy. And meaningful in terms, you know, providing guidance and to the entrepreneurs and value add to them as if they’re not just one of a hundred investments. Nick: Well, I mean, you touched on this and, you know, from my experience, I live in an area with a ton of generalists, you know, the Chicago and the greater midwest has a lot of generalist VCs. What are some other reasons why you’re seeing the emergence of these, of so many specialized investors? Jordan: You know, I, I think that there’s benefits and there’s drawbacks to, to being a specialized investor, right. And, and I think that some of them include, you know, you’re gaining access, a major benefit is that you’re gaining access to deals that could be highly competitive. But because you understand that area and you, you’re a different voice on the area, different voice to the company, and you provide a, a different value add than a traditional VC does. And that’s something that’s really valuable to entrepreneurs. And having you on the cap table would really makes a lot of sense from the strategic standpoint. So that, that acts as a, where you kind of you get your, you finagle your way into, into those deals, and you hustle your way into those deals, that would be, you know, shut off to the, to a traditional. Jordan: I think that, that also having this tighter mandate reduces a lot of the deal flow noise that you see. A lot of time is spent looking at every single investment. And by kind of constraining what you’re looking at, you can really kind of you end up by nature becoming an expert in that vertical or in that niche. And it’s something where you understand the ecosystem and you’re also able to focus on an area and eliminate a lot of noise. Because half of the battle is, is really getting through the funnel and eliminating deals as quickly as possible. I think that really the value add that you’re able to provide is something that, that’s important. And, you know, one thing that often is overlooked is the fact that as the portfolios evolve, there is a ton of opportunity for knowledge sharing between those portfolio companies of a niche or a sector focused fund. So because they are working to overcome some particular issue or they are in the same ecosystem, there are a lot of synergies to be had there. And the collaboration between the portfolio companies is something that, that’s accretive for, for all parties. Nick: Yeah. I couldn’t agree more. I mean, when you have that specialty focus, you’re, you’re not only able to evaluate and source much more effectively on the deal flow side, but you’re able to help the companies that you do invest in. Right? You can help accelerate them to the next round and, and achieve the milestones because you’re speaking their language and you’ve looked at a bunch of companies that are like them. You know, I, I have trouble understanding how some of the generalists are able to operate efficiently. When you’re investing in every sector and every geo and every type of tech, you know, how can you really be an expert in all those things and assess the deals and then also help the, the porticos once you’ve invested? Jordan: Absolutely. And I think it’s, you bring up a great point there about, you know, the value add not only to the portfolio companies but to the venture capital ecosystem in general. So if you have, if you’re a specialist in a field, you collaborate very well, you play very well in the sandbox with other VCs. Jordan: And you, you want to be positioned as, you know, the firm that, you know, I want to call #Nick whenever I want an opinion on this, this particular deal. 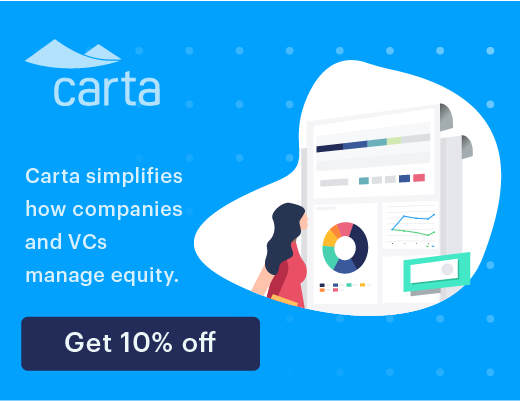 If I am working at, at #Benchmark or at, at #Sequoia and I have a huge fund, I want an opinion and I want your help diligencing this deal because you know it best. Nick: Sure. There is some very large firms that, that used to not know what to send me. I would, I had great relationships with them, and, you know, they would get deals that were too early for them and they wouldn’t know what to send me. So they wouldn’t send me anything. And then when I started clearly messaging, not only did the entrepreneurs out there, like here’s what I like and here’s what I invest in, but also clearly messaging to the, the downstream larger investors, I started to get a ton more deal flow, targeted deal flow, in those areas. Jordan: Absolutely. And I think it’s a great way to, and it’s a way I think that, you know, just to tie that back to the evolution of this industry, I think that the larger venture firms are starting to realize there’s a great utility to, to having the niche focused funds and vertical focused funds out there just as a part of the process of evaluating deals that they’re, they’re contemplating. Because they’re not looking to deploy the, the same level of capital. They’re happy to take, you know, just a portion of the strategic carve out that’s left over. They don’t need to win the deals to effectively create a portfolio. So I think that it’s one that the traditionals are starting to embrace and, you know, that, that entrepreneurs are starting to see a lot of value being created by them. Nick: I think you’re right. Cool! Any other benefits of sort of niche and sector focused funds that you want to touch on? Jordan: those sectors can overheat pretty quickly. And, you know, there’s, there’s definitely a risk of having a, a difficulty going back to market for fund two. So it’s still a bit too early to, to see that play out, but I think that just as everybody’s a generalist to avoid this problem, you know, you can become an expert in something else over the course of a fund not over the course of a year. Nick: Right. While we’re talking about drawbacks, you know, I hear a lot of folks saying that they don’t specialize because they’re worried about not getting enough deal flow or not being able to invest when they, they find something great that’s in maybe a sector that’s, that’s not in their target area. What are your thoughts on this perspective? Jordan: or, you know, kind of a reserve set aside that their LPs are okay with, that, that are, that’s geared for it’s exceptions. Nick: Yeah, yeah. I got the same thing. I strategically lead, lead deals in my focus area but opportunistically I can follow on some others. Anything else on, on drawbacks that you see of niche focused funds? Jordan: I mean, you know, I think that it’s, it’s one that is, you know, obviously the fund raising component is difficult and so you see, you know, niche focused funds that it’s kind of harder for them to get born, first time funds that are going to market, you know, no specific track record, trying to work in an area that’s not proven out yet, that, you know, they could, even if they’ve had an amazing success at a different firm, this is a new investment thesis that they’re coming up with. And so people want to see a track record there. That’s a drawback. But that’s one that can be overcome. I think that, that really at the end of the day weighing the benefits versus the drawbacks, obviously I’m biased here, but I think that we’re going to see, we’re going to see some strong performance out of, out of these, these focused, you know, funds that, that’s going to continue into the future. And I think that it’s going to continue to play a bigger role in the ecosystem. Nick: Sure. Well, we’ve kind of talked around this but what are your thoughts on how appropriate it is to specialize at early versus late stages and, and/or if maybe stage is, is irrelevant? Jordan: Yeah, so, I mean, I think that it’s different for every investor. I think that personally, I mean, I can just talk about our approach and our view is that we are stage agnostic, completely opportunistic, because of the horizontal value add that we have. So there’s companies that we can help at various stages. And, you know, whether that is a late stage company like, like #FanDuel, back to, you know, or a earlier stage whenever we first started working with companies like #Lemonade. And so it’s, it’s, it’s one that I look at the portfolio as I’m trying to accumulate a valuable pool of assets, and they come in all different shapes, sizes and flavors. And as long as it meets the portfolio construction return profile that I’m looking for, you know, I don’t want to limit the stage that I can get involved in. Nick: Got it. But it’s fair to say there’s more specialization going on earlier than, than later? Jordan: I think, I think that’s definitely the case. And it, for your, from what we’re seeing out there right now, that, that’s a function of some of the, the focuses that, you know, you got a deep understanding of a vertical, what’s going to work, what’s not going to work. You can easily identify companies that are doing something different. For example, in IoT, you could easily identify companies that are doing things that are really, really different, operating in a wide space at an early stage better than a generalist could. Jordan: Or if you’re focused in a specific geo, then you know the ecosystem, you know the people that are there, you know what, what people are working on from an earlier stage and it’s a great opportunity. Other ones, you know, we see it where we’re, we’re helping solve problems that are brought at a moment when something happened on a regulatory front. And, you know, we need to step in and, and help navigate it at a instrumental moment in the company’s lifetime. So that’s like a, a #FanDuel example. Jordan: Or, or there’s the times whenever you have, and this is a shift that we’ve people take as entrepreneurs and as investors, where they, they want to take a more proactive approach to understanding the regulatory and political risk associated with the deal. And, you know, they want to use that to capitalize on an opportunity. We see this a lot with companies that are maybe series A or series B that are first to market and want to accelerate that growth to really take control and make sure there’s no, no fast followers that end up taking some of their market share. Nick: Got it. And you guys are investors in, in #FanDuel? Nick: Can you talk about that situation at all? I find that, that really interesting and it makes a lot of sense that, that #Tusk would be, would be an investor considering some of the, the regulatory component that, that they’re having to deal with. Jordan: Well, so I can’t go into too much detail here on, on, you know, on the, on the, the role that we played in, in that situation. But I think that it’s, it’s a great case study in the sense that a very fast growing wide space industry. And this is something that excites me about, you know, the investment thesis that we have here is that people are chasing, trying to find new verticals all the time. Right? This is kind of a broader investment thesis that I’ve always had, that startups fall into one of two buckets. They’re either helping solve a pain point inherent within an industry or they are changing the way that people are thinking, consumers are behaving, and helping solve problems that nobody knew that they had. Right? Jordan: You know, we wouldn’t have been talking about this pre 2009 that there’s a major problem that, because I don’t want to stand in the rain and hail a cab, I’d much rather do that with my phone, you know. And so here are these companies that are growing at, at a rate that was unimaginable at the time in an industry that nobody really knew how to, how to approach it. There’s no, there’s no regulatory body there. And so that’s, that inherently we were attracted to obviously because there’s a tremendous opportunity to be, be the good actor, come in and proactively take the stance about how do you insure the effect of regulation here. And it’s also the type of company that people are passionate about, daily fantasy sports. Just like they are with #Uber. So, you know, you will, you can sit there and mobilize a user base to, to speak out on behalf of, of, of the, you know, the product that they want. So it’s one that, that was very interesting that, that we’re so, we’re so engaged with. The, the management team over there is, is spectacular. And we’re, we’re really proud of, of, you know, the accomplishments that they’ve made, you know, and the progress that they’ve made so far. So we’ll see this continue to play out state by state. But we’re, we’re on the right track. Nick: Awesome. So daily fantasy sports, we’ve, we’ve touched on that, but, you know, given the regulatory environment today, any other specific verticals that you find particularly compelling?